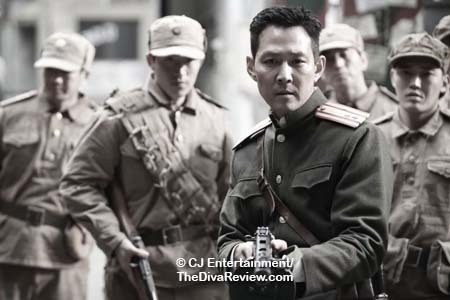 So many South Korean films are being released into US cinemas lately; it’s a total 180-degree turn from the days when you had to wait for international film festivals to catch a glimpse of what was coming out of Seoul cinemas. 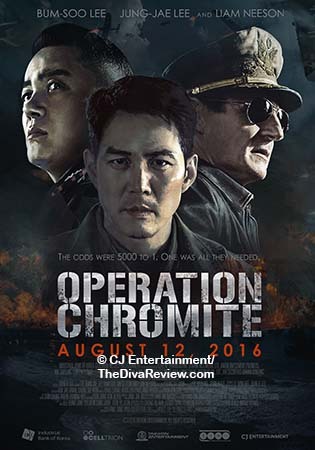 Quite a few movies centered around Korean history have made their way here, but there seems to be a special spotlight on Operation Chromite. 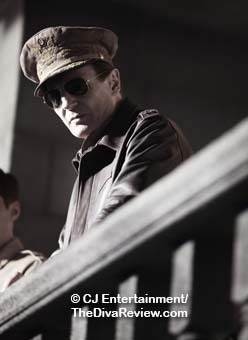 That the film dramatises real life events occurring during the Korean War is part of that, but in particular, much of the film’s attention goes to the involvement of America’s great general, Douglas MacArthur, and the fact that he is played by one of the west’s most popular stars, Liam Neeson. Korea has turned red. 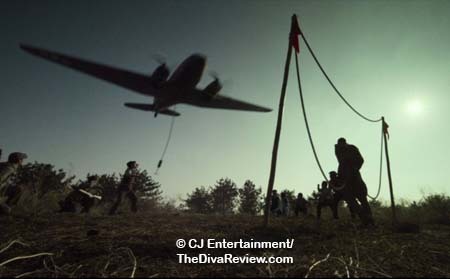 Abetted by the Communist Chinese government, the North Korean forces have successfully invaded the South and an unhappy reunification is underway. It’s a world where fighting for one’s own home finds them branded a traitor and rebel. The Southern forces that hold out against the invaders are captured, executed and hanged off streetlamps as warnings to those with similar bright ideas. The Southern resistance finds an ally in the US government, who isn’t keen on the Red Menace spreading across Asia. 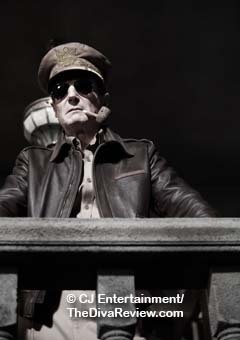 From Japan, where he’d been overseeing that country’s transition since his victory there heralded the end of World War II, General Douglas MacArthur seizes the chance to push back the Northern Commies and sets into motion the risky Operation Chromite. 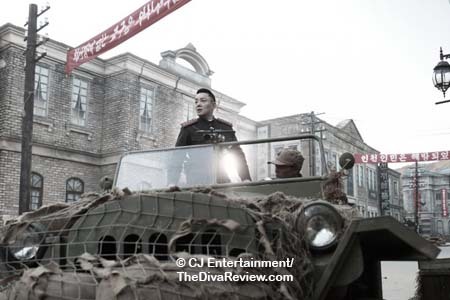 The plan is to lay siege to the port of Incheon, cutting off important supplies and food to the Northern troops. The problem is the port follows a rough and narrow course that could be easily defended by the enemies if they knew the Americans were coming. 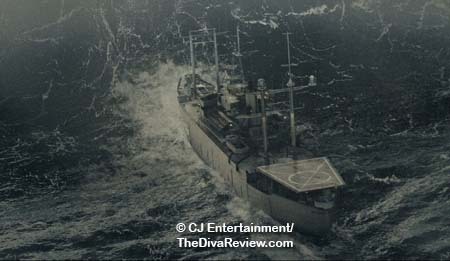 At MacArthur’s behest, a group of elite Southern spies must infiltrate the Northern garrison to steal all information, including imperative maps of underwater mines, as well as illuminate an old lighthouse on the Incheon shore, to clear the way for the US ships to land and take the port. 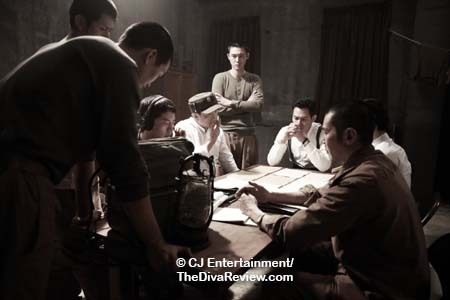 This is where Jang Hak-soo and his trusted band of seven men come into play; using their individual talents and risking their lives to take back their country. Each man has experienced tragedy in their own way due to the invasion, and their dream of a peaceful nation and their loyalty to each other binds them together. 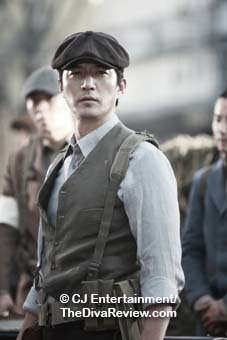 Clever and well-prepared as the spies may be, these Northerners are no group of idiots, and the very crafty Colonel Lin is equal to the sharp, well-prepared Jang; staying with him step for step, threatening his plans. Lin also has the prescience to see what his superiors do not; that Incheon is more vulnerable than they realise. 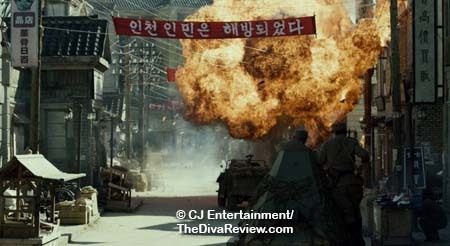 Jang and his men must outthink, outfight and outmanoeuvre Lin and the entire North Korean military in order to get the intel on which the whole operation depends. 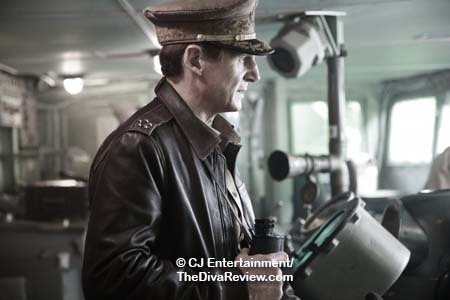 For all its good intentions of being a grand cinematic history lesson, perhaps in the style of the successful 2014 epic, The Admiral: Roaring Currents, the creators of Operation Chromite should be sued for malpractice. 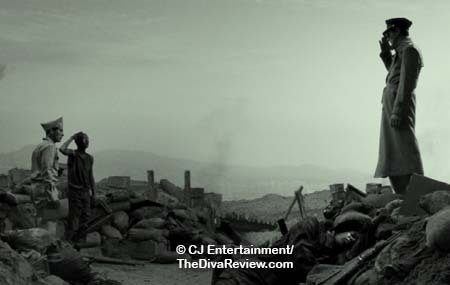 The film is bloated, overlong, visually unappealing, with a dull-witted script that threatens its audience with an impending coma. 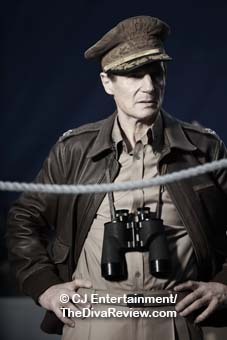 The first thing that must be discussed is the inclusion of Oscar-nominated Irish actor, Liam Neeson, who plays Douglas MacArthur. 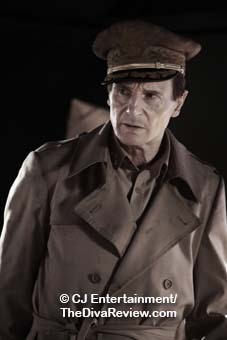 I never considered there was a physical similarity between the two, but in Neeson’s strong, gruff features, as well as his imposing height and demeanour, he definitely suits the legendary soldier, who himself had a very particular set of skills. 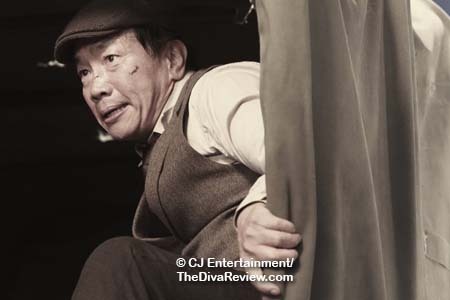 The problem is the mindless dialog he and the other non-Asian actors – all of extremely varying proficiency - are given. These lines mostly serve as historical exposition, or as half-baked psychobabble analysis of the famously egotistical leader’s motivations to attempt such a risky operation, which the character himself rejects in one of several awkwardly written moments. 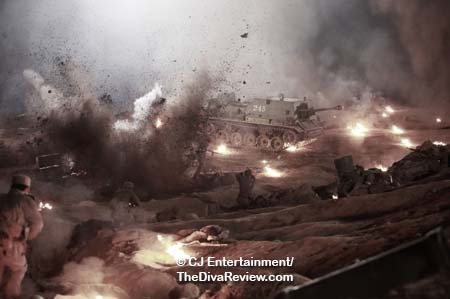 MacArthur doesn’t exist so much as a human being than as a drifting presence meant to propel the film’s action. His dialog would be better suited to voicing a cardboard cutout rather than a flesh and blood person, with MacArthur endlessly blustering tired homilies and fortune cookie clichés about winning wars. Neeson is far better than this creaky script, and everyone, including Neeson, himself, knows it. 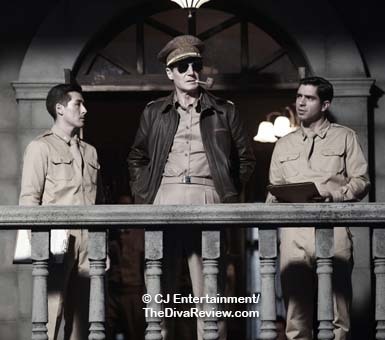 There’s no stretch to this role, and you can tell when the actor has stopped trying, because his accent begins to cross several continents, and his eyes – when not hidden behind sunglasses – look mildly glazed over. It’s a waste of pretty inspired casting. 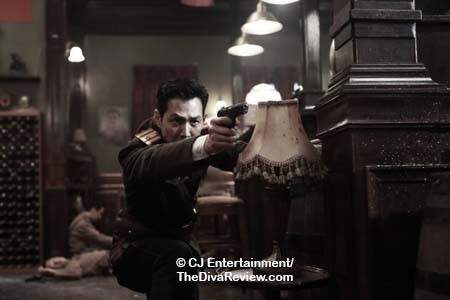 As one of South Korea’s most sought-after leading men, Lee Jung-jae is appropriately heroic as the spy squad leader, Jang. 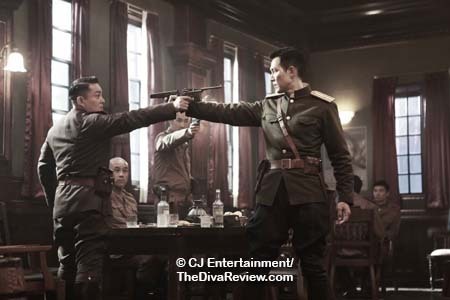 Pity that neither the charismatic actor, nor his cohorts - many of whom are some of Korea’s best supporting players - are ever given anything but the most flimsy and predictable moments, making them unable to plumb the emotions of their characters. 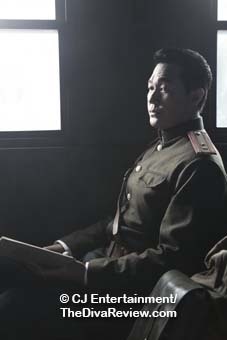 While I did enjoy the grinning threat of Lee Beom-soo, who manages to get a few teeth into his role as the canny, creepy enemy, Lin; he is the rare exception as all the rest of the characters exist in a vacuum, and those other fine actors, especially Lee Jung-jae, are wasted. 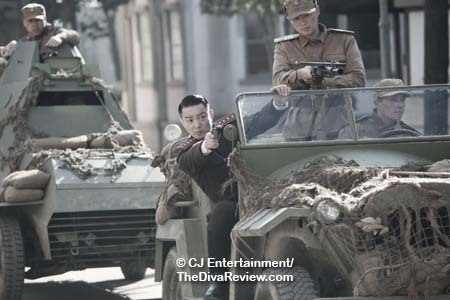 With its obvious and unimpressive green screen battles and jumpy action camerawork, Operation Chromite felt like it went on at least an hour longer than its nearly two-hour running time. Would that some of the excess been used to get the viewers more involved with Jang’s brave team. It’s all too predictable that we will see losses, but shouldn’t we care about any of them? 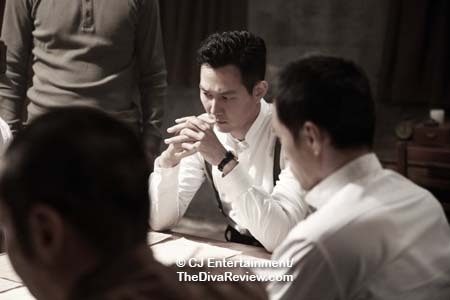 I sense that the sort of spy activities and ensemble cast setup we see in Operation Chromite was meant to parallel another superior film, South Korea’s 2015 box office smash, Assassination, which also starred Lee Jung-jae, but this picture bears none of the charm, charisma, or thrills of that film. I would have loved to see a grand slice of cinema history based around this tense and important period. 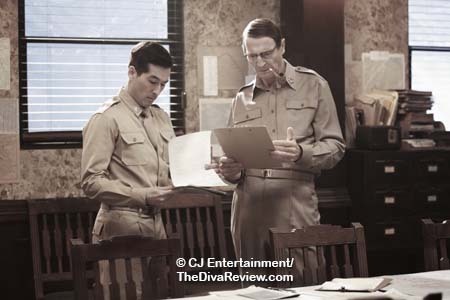 Too bad Operation Chromite’s braindead script and unimpressive visuals present that lesson with such poor wit and little excitement that it fails as entertainment.